Want it by Wednesday 24th April? Order within 2 days, 22 hours, 27 minutes and choose Next Working Day - Kerbside Delivery (Order Must be Placed by 2pm) at checkout. Elite Stone Light Screed true tile structure replicates a natural look. This 8mm board measures 282mm wide by 605mm long with 12 boards per pack. Each pack measures a massive 2.047m2. 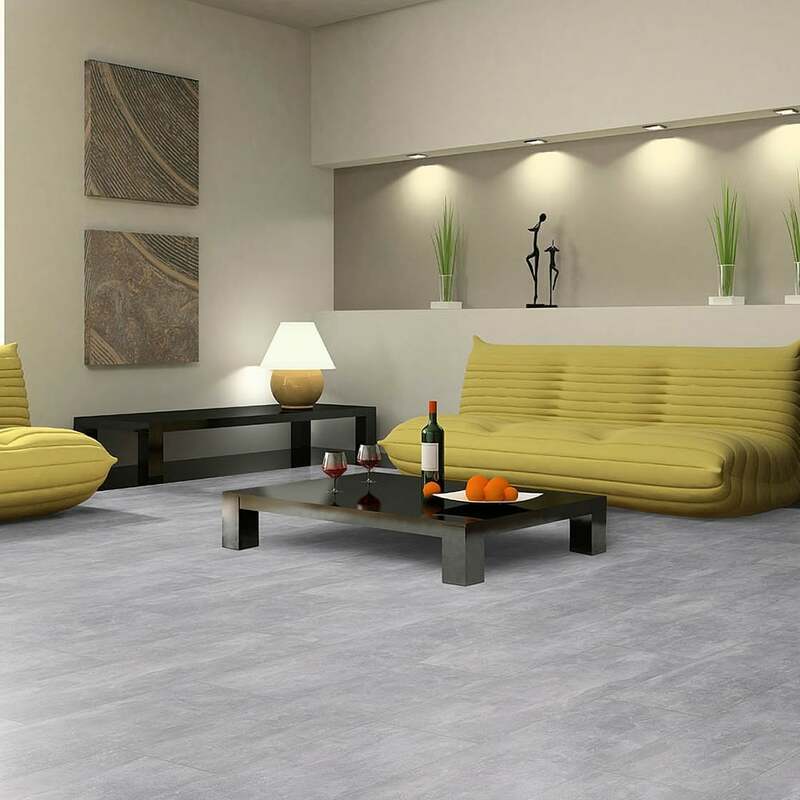 With its light and dark grey tones this is an extremely popular and modern laminate for use in all areas of the home. This product has been awarded an AC4 laminate rating branding it suitable for all residential applications plus general commercial applications such as offices, cafes and boutiques. This floor is easy to clean and maintain and with its click system, DIY has never been so easy! I ordered a sample of this floored bf and it arrived with two days of ordering it together with a sample of the underlay. It looks as good as it does in the picture, really beautiful. It’s quite thick and sturdy.